Compact axe capable in a wide range of situations. Cut down small light trees, create materials for building a camp fire and making kindling. Also works well for green wood carving projects such as spoons. 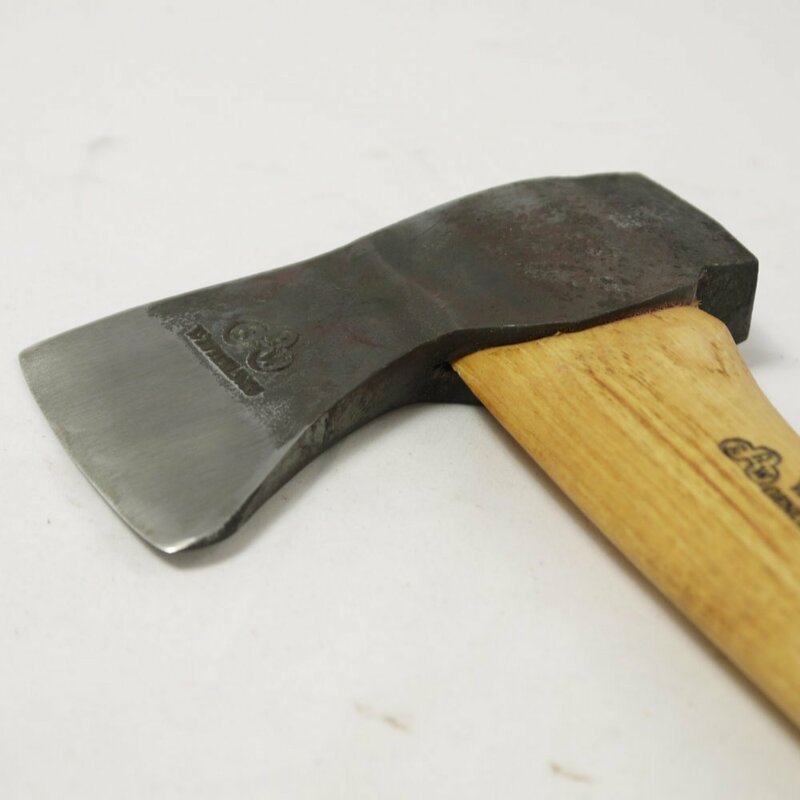 The head weighs 550 grams and is made from Swedish carbon steel, the cutting edge is 65mm (2 1/2") long and the head is 140mm (5 1/2") long. The curved American hickory handle is 330mm (13") long. Slightly rounded bevels ground to a 24 degree angle, hardened to 56-58 Rockwell. 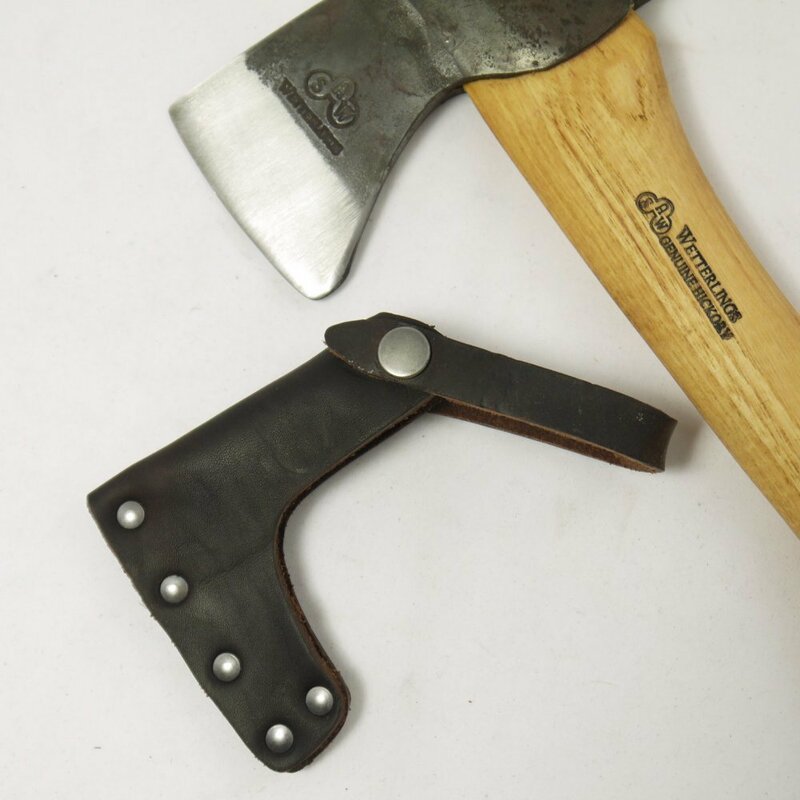 Shares the same head as the smaller handled Wetterlings Compact Hatchet "Buddy". 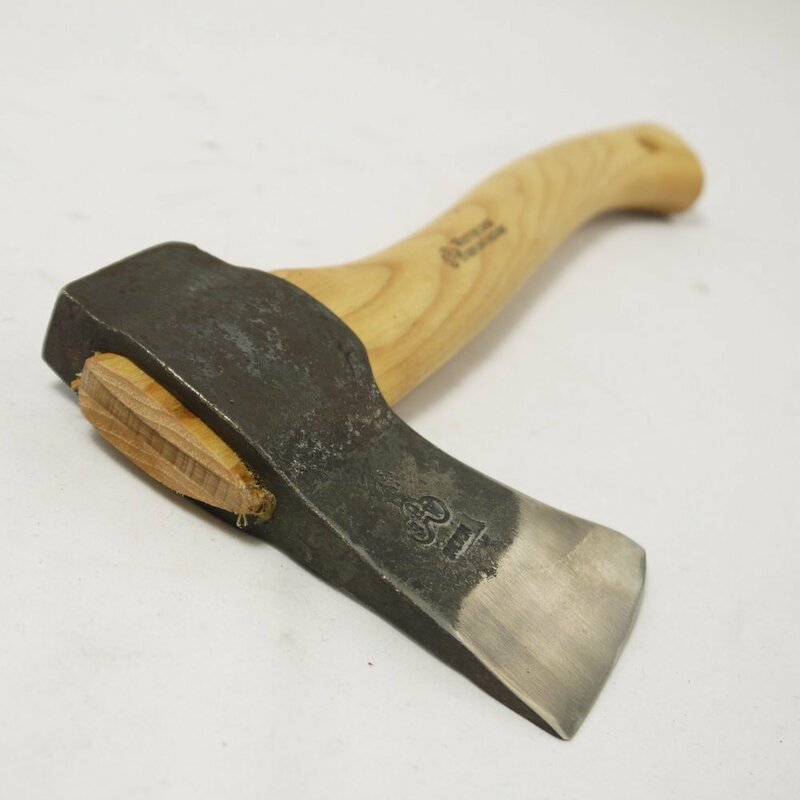 Comes with a beautiful thick grain vegtable tanned leather sheath which fastens with a popper, the Wetterlings axe book and a twenty year guarantee on forging.